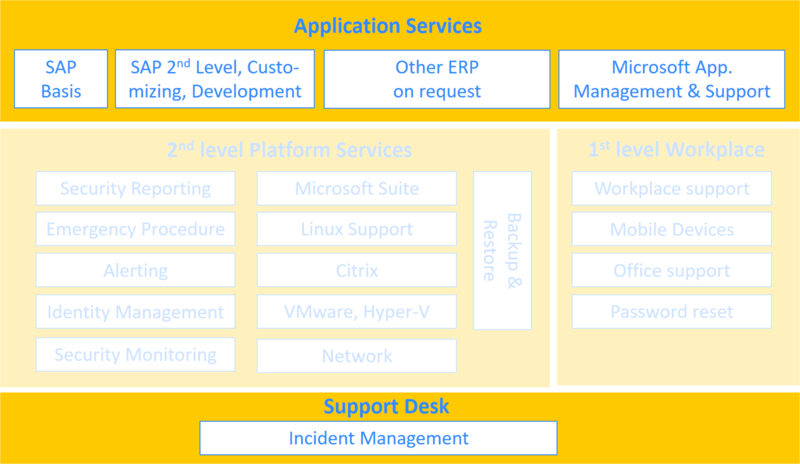 Our SAP operation and development center supports you in managing your business critical applications. The service portfolio includes also SAP basis operation. We accompany you in servicing your SAP modules for 2nd level support, too. This may include customization tasks as well as development tasks. Either as extended workbench, as project support or as taking over responsibility for dedicated modules. Our SAP specialists will work very closely with yours as well as with your process owners. In case, that you have additional ERP systems in place then do not hesitate to contact us to find solutions for those, too. Our application support builds also on our implementation method. Please click here for more information.